Todd Grimm (todd.grimm@tagrimm.com) is the founder and president of T. A. Grimm & Associates, Inc., a consulting and communications company dedicated to additive manufacturing. A 26-year veteran of the AM industry, he is a consultant, author, writer, speaker and researcher. He also has served as an advisor for various associations and publications. 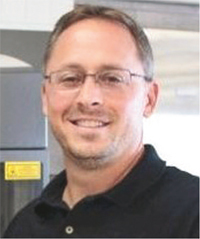 In this two-part column, Ben Staub, president of BasTech, Inc., Dayton, OH, shares his metal-additive-manufacturing (AM) thoughts, observations and recommendations. Ben Staub’s 3D-printing history is extensive and varied. Following years spent toolmaking in his family’s business, he founded BasTech, an early entrant in 3D-printing services. Over the past 24 years, BasTech has expanded its tool shop, established itself as a reseller of 3D-printing equipment and adopted metal AM. His thoughts draw from decades of experience as a user of the technology as well as a supplier of services and systems. 3DXpert software, a major staple of BasTech’s AM efforts and capabilities, simulates the effects of stresses to guide placement of support structures. “Companies should realize that metal additive manufacturing offers huge benefits now; it’s not a distant promise,” says Staub. He has seen the advantages through inhouse use and customer experiences stretching across more than a decade. “We still have tools running in our tool shop, production tools, made with AM more than 10 years ago,” he comments. Staub also points to work supported by a 2015 grant from the State of Ohio for proving how metal AM can enhance toolmaking. While metal AM provides real value today, Staub notes that metal AM is an alternative to existing processes, not a replacement. Staub also acknowledges that metal-AM technology has room for advancement which, when it happens, will improve the value and extend the opportunities to apply it. That advancement, he believes, is upon us, placing metal AM on the cusp of becoming production-grade technology. “Companies should realize that metal additive manufacturing offers huge benefits now; it’s not a distant promise,” says Ben Staub, founder and president of BasTech, Inc. In terms of refinement and finesse, Staub likens the maturity of metal AM to that of stereolithography in the late-1990s. “Right now, a lot of the machines are still what I would consider to be fine for a prototype environment but not necessarily ideal to support a production process,” he opines. The capabilities preventing metal AM from being considered a production-class process fall into three categories: predictability, repeatability and automation. Predictability encompasses the learning curve and knowledge base needed to print good parts. Repeatability, or consistency, takes into account the process variables, some controlled by the equipment and others by the operators on the floor. And automation—before, during and after a build—influences overall efficiency while improving repeatability. All of that said, Staub admits that the industry is poised for change. BasTech employs metal AM to solve problems or provide unique benefits not possible within a traditional tool shop. There is much process, material and system-development activity underway that Staub believes will address predictability, repeatability and automation. As examples of the move to production-grade solutions, Staub cites 3D Systems’ recent announcements and rollouts. In the area of predictability, he points to new-found capabilities offered with 3DXpert software. “We are somewhere between pure experience and expert systems,” he says. AM is nothing new to BasTech. Since the early-1990s, with commercialization of the first stereolithography machines, BasTech has used AM in more ways than can be imagined. BasTech provides services and hardware solutions for AM, engineering, prototyping and manufacturing needs. Engineering design, prototyping, 3D printing, tool production, reverse engineering and low-volume part production all work together to provide the complete solution. Drawing from this wealth of hands-on AM experience, BasTech analyzes and outfits businesses with the best-identified solutions for their manufacturing needs. 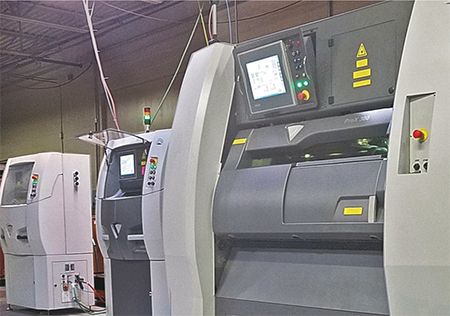 Offerings include 3D Systems’ complete line of products from direct-metal-printing and MultiJet printers to production-quality scanning and software packages. Other leading brands used by BasTech include Markforged, Creaform, SolidWorks and more. 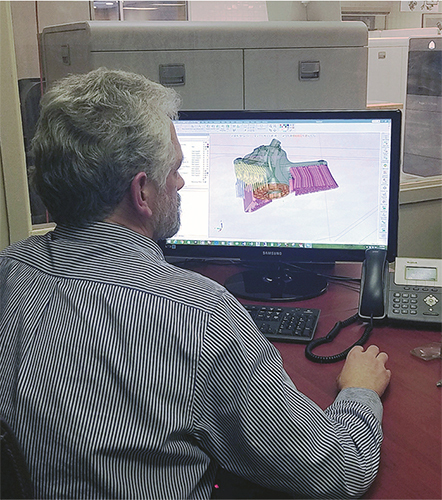 With the software, users now receive guidance that helps them to make better decisions when prepping a metal-AM job. Stress analysis provides one example. Rather than making assumptions based on prior experiences, the software illustrates how a part would deform during the build, which allows the user to counteract the stresses with properly placed supports. 3DXpert also accelerates the preparation of builds and the printing of the parts. The entire workflow is conducted with native CAD data to make design modifications and apply build settings. To decrease build time, the software also offers variable build parameters throughout a part, such as thicker slices for support structures, and generation of lattice structures to reduce the volume of printed material. He also highlights automated material handling. When performed manually, technicians have much influence over repeatability as they sift, reclaim and reuse powders. “Hand-sifting materials, for example, has the potential for contaminants to be introduced or oxidation to occur,” Staub says. With automated material handling, these aspects no longer are prone to human error and subject to labor availability. Metal-AM adopters are dominated by what Staub calls “progressive companies”—those with a management mindset that this is something they need to do now, because if they wait 5 years, they won’t be at the technology forefront. What differentiates these companies is that they are willing to take acceptable risks, willing to invest now for the future and willing to gain benefits today while discovering the possibilities for tomorrow. Typically, Staub finds that these are larger companies with the budgets and resources to support such initiatives. Yet, any company, of any size, can leverage metal AM today if its representatives take an open-minded approach. BasTech turns to these metal-AM machines for parts and tools as a complement to the company’s machining centers. “I think they need to open their minds to where the real fit is,” Staub says. Identifying this “real fit” involves understanding how metal AM is no different than traditional processes, recognizing the challenges but being open to adapt to them, and appreciating the benefits beyond unit-cost and unit-time reductions. High-level closed-mindedness commonly reveals itself in three ways. First, expecting metal AM to be a single-step process in spite of the fact that milling, casting and forming usually are multi-step, multi-machine processes. Second, requiring metal AM to meet the highest output standards of current processes. Third, seeking only benefits in time or cost, especially with parts designed for the current process. In a sense, it is a case of familiarity. Metal AM is unfamiliar, so its advantages may not be fully understood, and its limitations may fuel a perception of risk. On the other hand, traditional methods are so ingrained that the processes and outcomes are just accepted. Decisions based on price and time also fall into this familiarity conundrum that stymies open-mindedness. 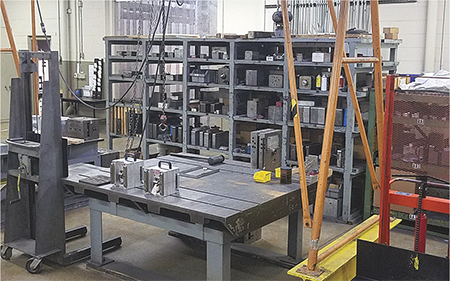 Routinely, Staub encounters those that balk at a higher price for a metal-AM part, often designed to cater to the capabilities of the traditional process they hope to replace. Look for Part 2 in the next issue of 3D Metal Printing, where Staub offers real-life examples where metal AM makes sense for toolmaking, and Grimm provides insightful commentary. Have a difference of opinion or insights that you would like to share? Contact Brad Kuvin (bkuvin@pma.org), editor, to schedule an interview.